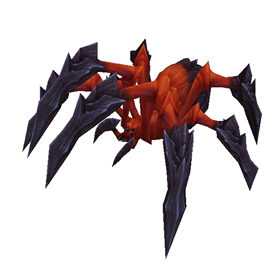 This pet spawns around Felsoul Hold. It shares spawn points with Thornclaw Broodling, but has a lower chance of spawning. Found mine at (33, 69) at 11:30 pm. Found one at "25.75, 58.95". First one I engaged was a rare. Saw 2 between 1 and 2 am server time. Both rare of course, as that appears to be the only way they spawn. And having only 1 breed means if you see one, you're done, which is sweet. Found Rare at 19:27 server time 32, 63. Spent about 30 minutes killing all the Thornclaws. Got a rare quality one at 35.50, 78.80 today at 7:40am realm time. Found one around 11:30 AM game time, also found a couple around 11:30 PM game time. I apologize for not being able to say Where I found mine. Thanks to flying, I was able to find this guy and finally capture him after killing the previous 3 I ecncountered ny misjudging the damage when attacking. I finally just used my Anubisath to poke hime down and then 6(?) trap throws. Got lucky and found one just outside the entrance to Felsoul Hold. Since some are speculating that spawns may be time-based, I got mine at about 11:20 pm realm time. Happy hunting! It's a timing thing. I ran around for hours killing Thornclaw Broodlings (once I'd captured both breeds of course) and I could not make the Vicious appear. So I logged out for the night. Next day I found three of them within 10 minutes of logging in - all rare, (I think that's the only kind). I captured just one of them since there is only one breed. Clearly when it's time for them to spawn, they spawn, and no amount of running around nuking Thornclaws is going to help. If the pet has spawned but you need to clear trash to get to it, please please please be mindful of any items or trinkets you have equipped that do aoe damage. After killing critters for over an hour one finally spawned between two mobs and my trinket kindly dropped a meteor on the pet, killing it instantly. I did manage to get another to spawn about 20mins later in the same spot, which I basically stripped down naked to capture! North west of the F in Felsoul on the map on the ramp. Rare 32.5, 76.15. Spawned after an hour or so of running around the area killing critters and pets that spawned. Primary. 30.55, 77.8 and 30.45, 74.2 walked between the 2 fel cannons along rocky edge. The cannons are just above the "F" on map. 25:63(ish), just outside a little cave. Natural rare P/B! I was thrilled. Hard fight, too - backed up by a Sandpiper and a Violet Firefly. The spider alone had nearly taken out my Molten Corgi and Feline Familiar. Thank goodness for my Sentinel's Companion and the two backline opponents being Flying. As some previous comments said I found one at 30.14 77.91(Below F on the map).A rare one too.Maybe there's always a rare at that spot. 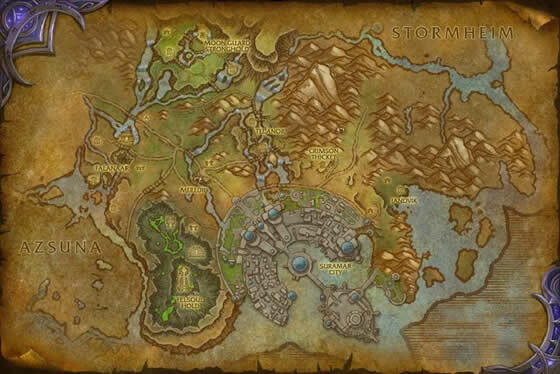 Just want to add another location right at the entrance to Felsoul Command at 32.0 / 83.4.